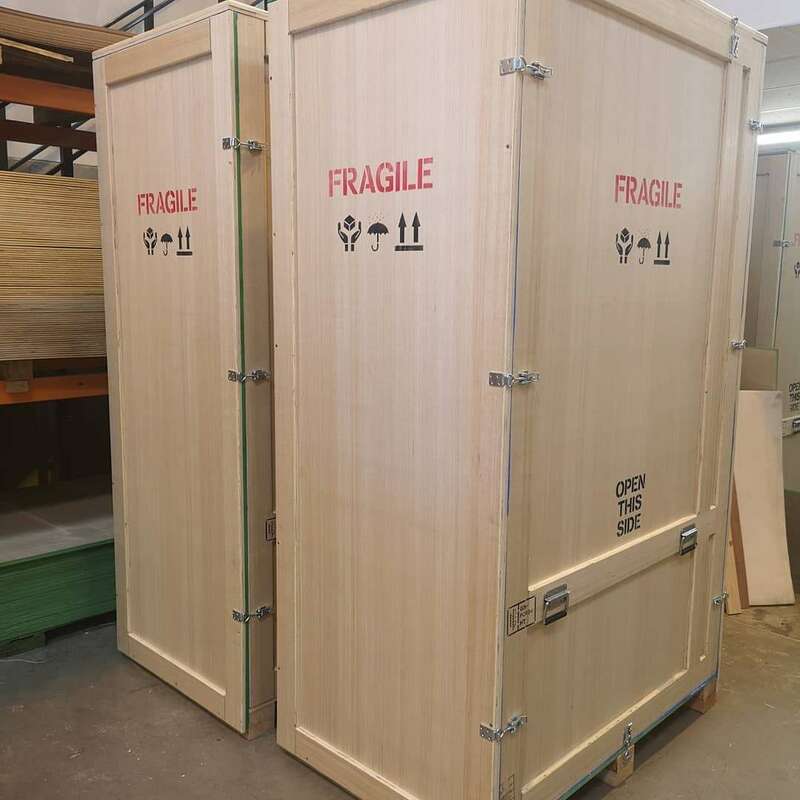 Our custom-made wooden packing crates and quality wooden cases are manufactured to meet the specific requirements of the customer. 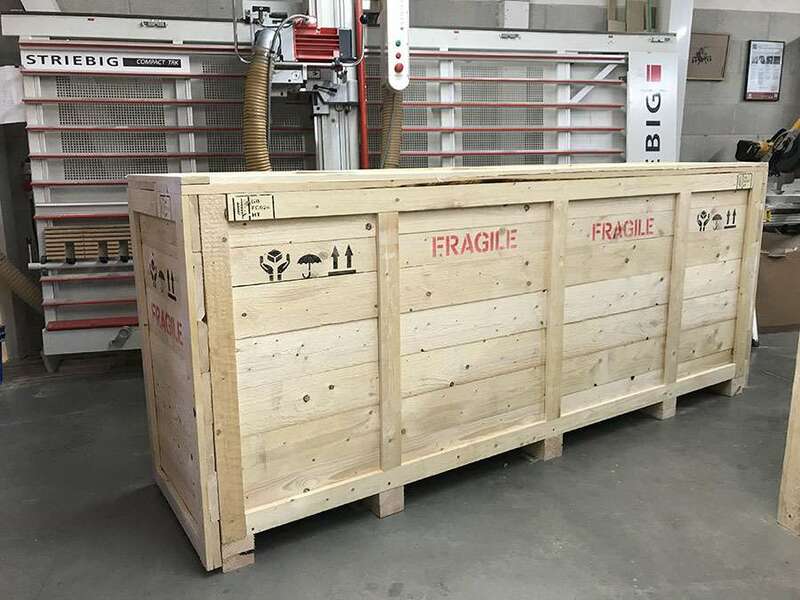 Our custom-made wooden packing crates and quality wooden cases are manufactured to meet the specific requirements of the customer. 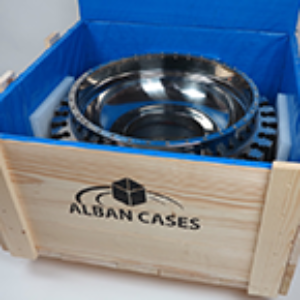 With Alban Cases, no case is too big, no order too small. 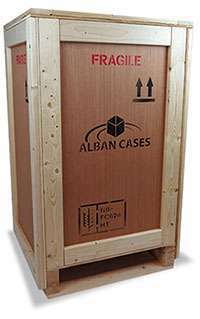 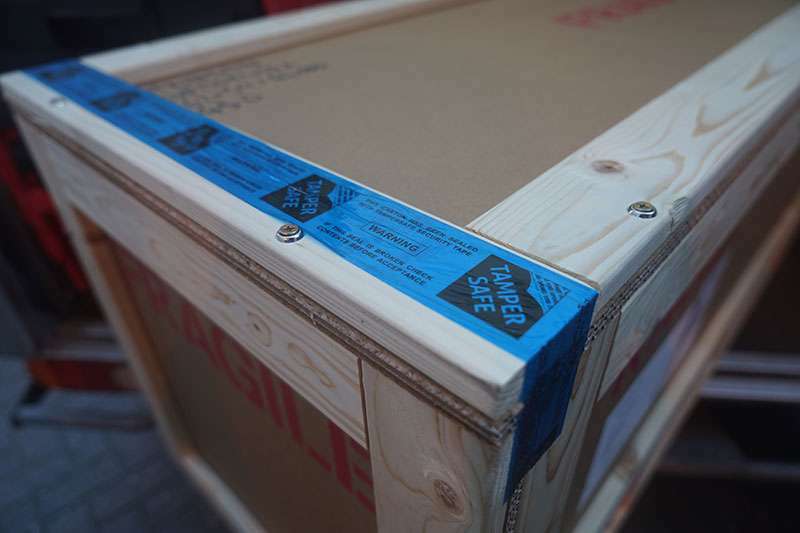 Whatever item you need to store, ship or protect, our team of expert case-makers can manufacture a wooden case to meet the demands of the job. 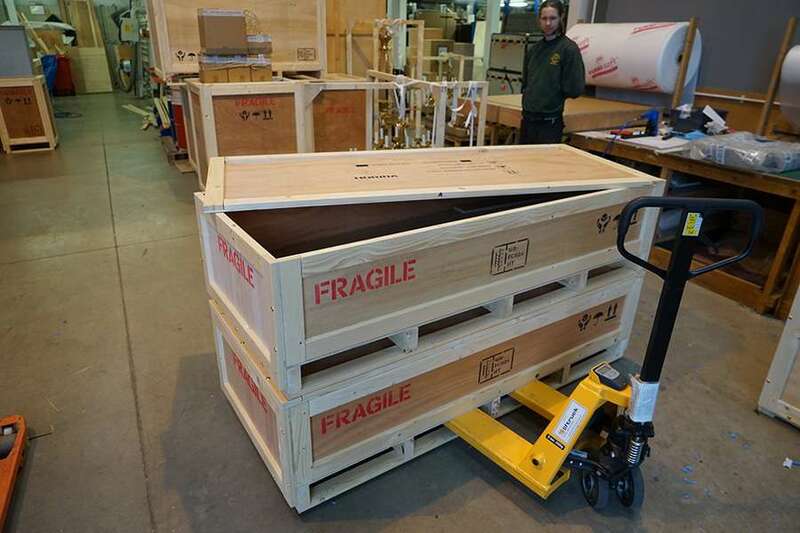 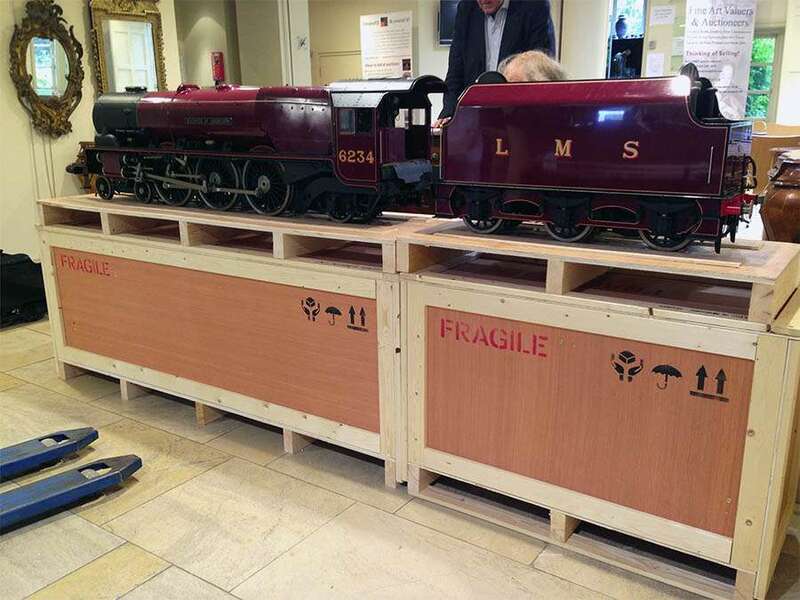 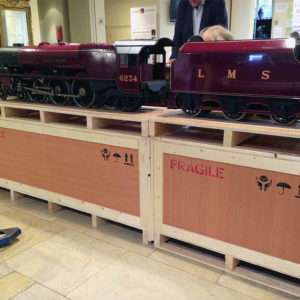 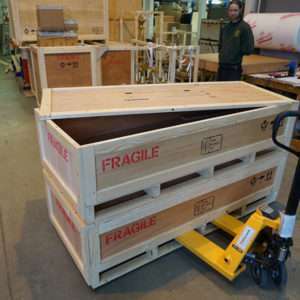 Our crate-making service includes specification, case design and manufacture. 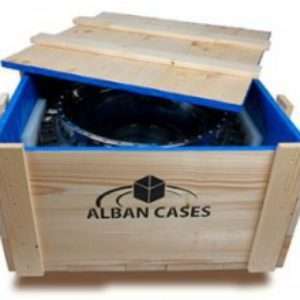 You can see a step-by-step description of the case-making process in our blog. 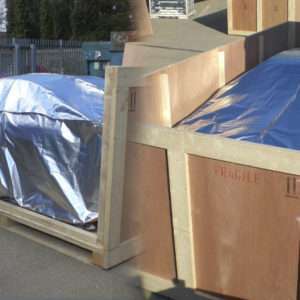 From initial brief to safe delivery, our experienced team provides full advice and tailor-made solutions. 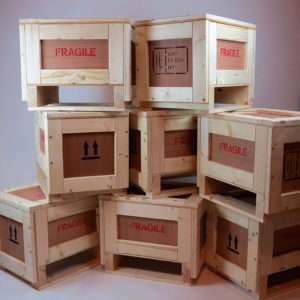 Our competitive pricing structure will be fully detailed before any order is placed. 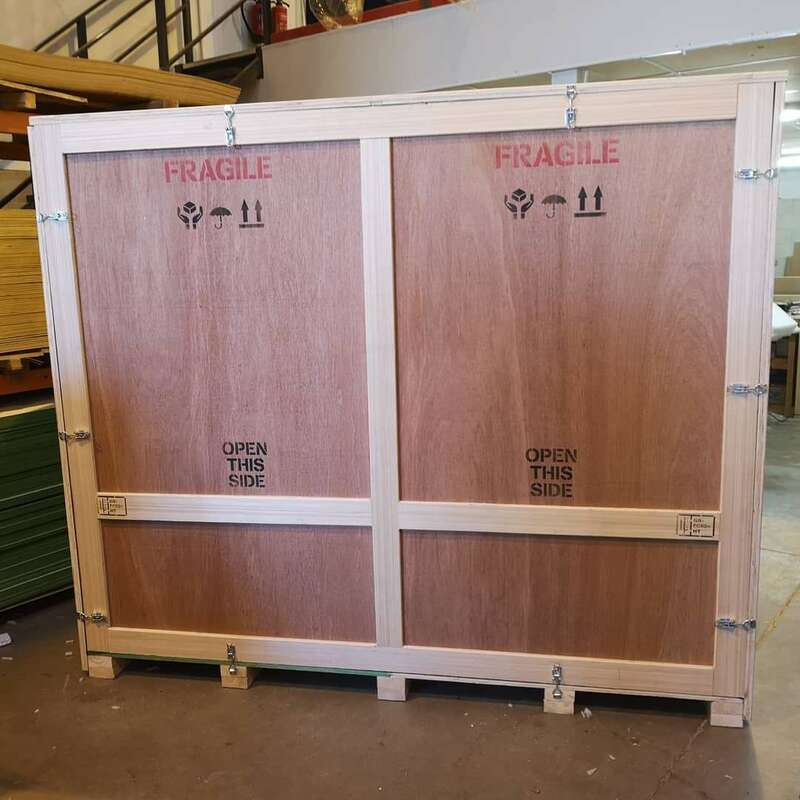 To buy/order a bespoke wooden case, call us 0800 512 5060 or 01582 493099, or contact us here for more information. 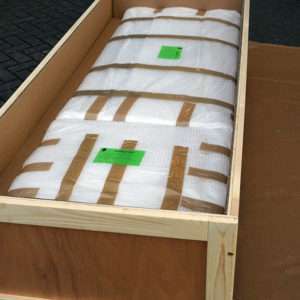 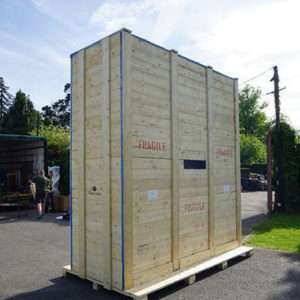 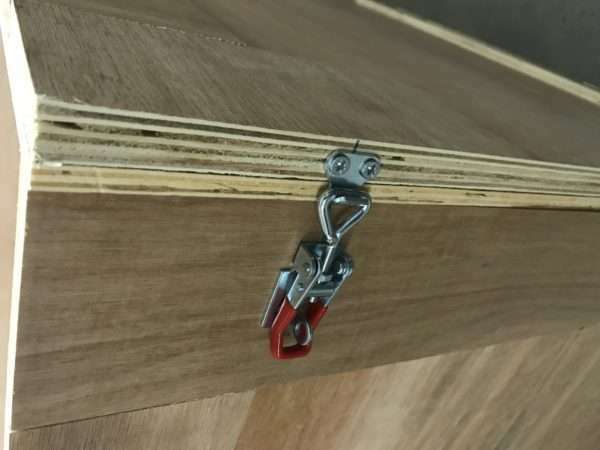 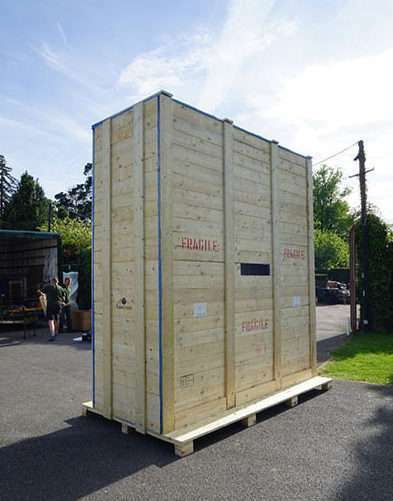 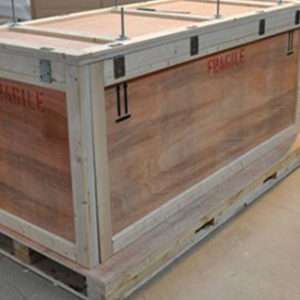 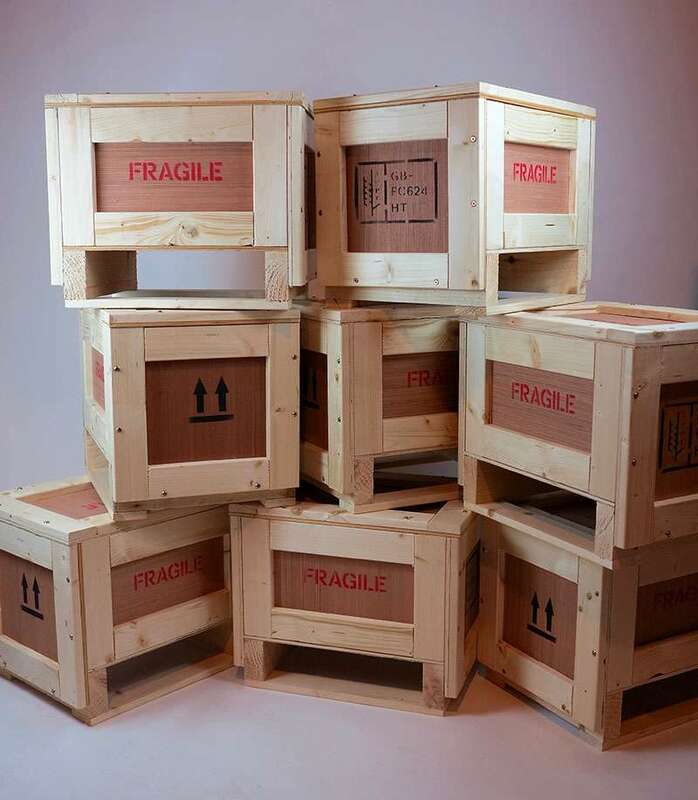 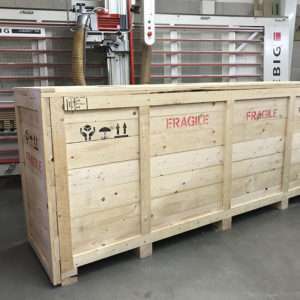 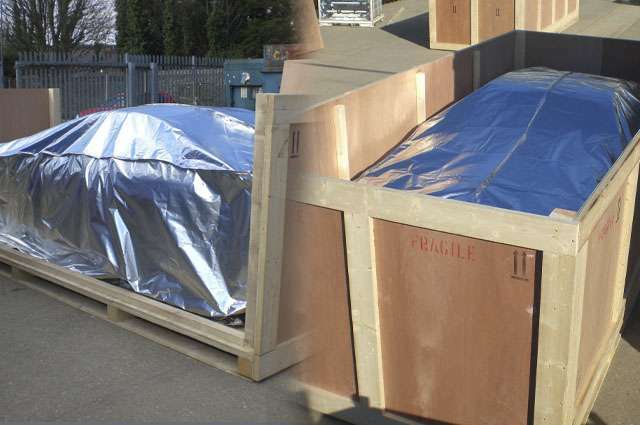 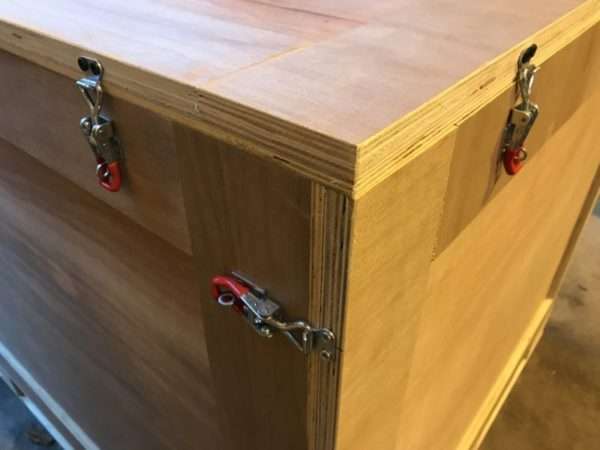 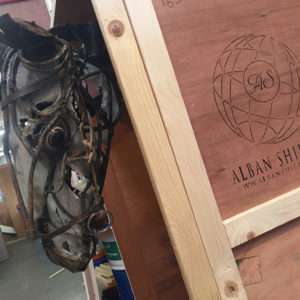 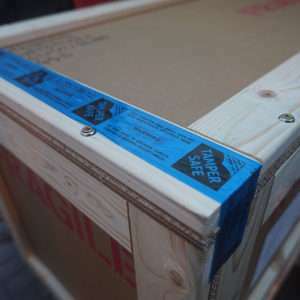 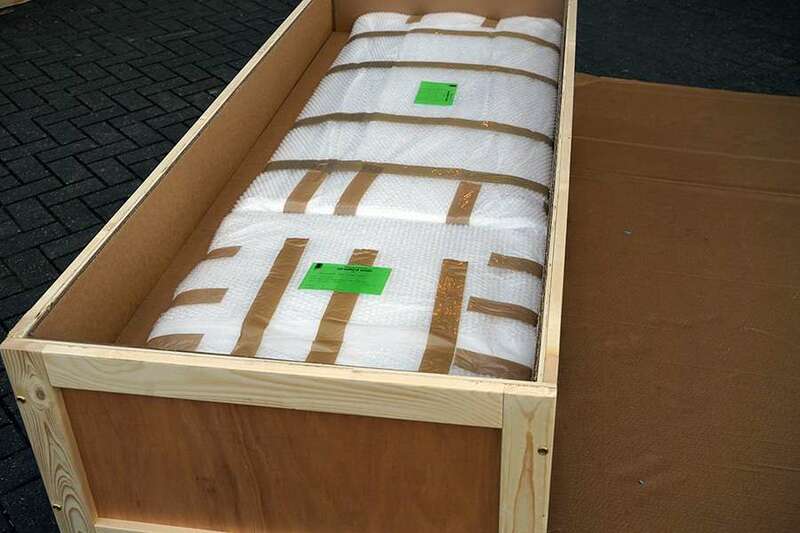 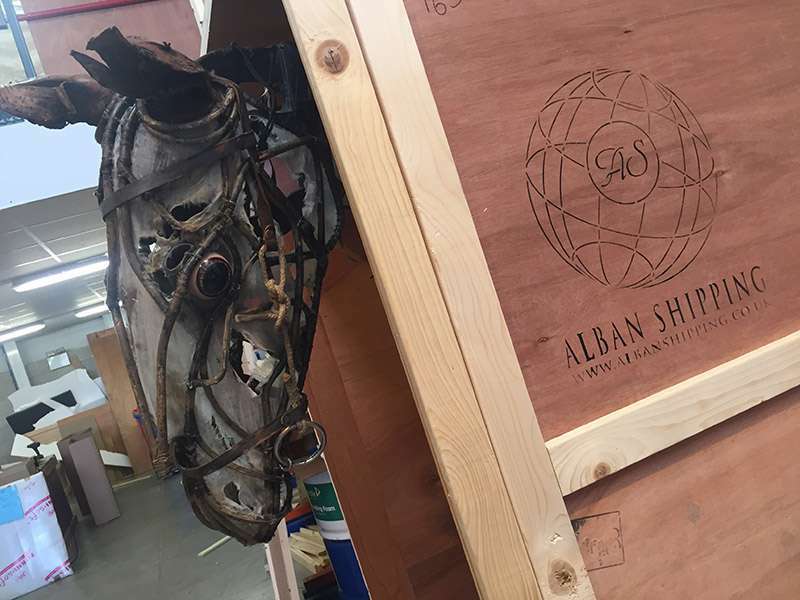 All our wooden packing cases are manufactured using ISPM 15 complaint wooden materials that are carefully designed to offer the most appropriate level of protection for any product of any shape or size. 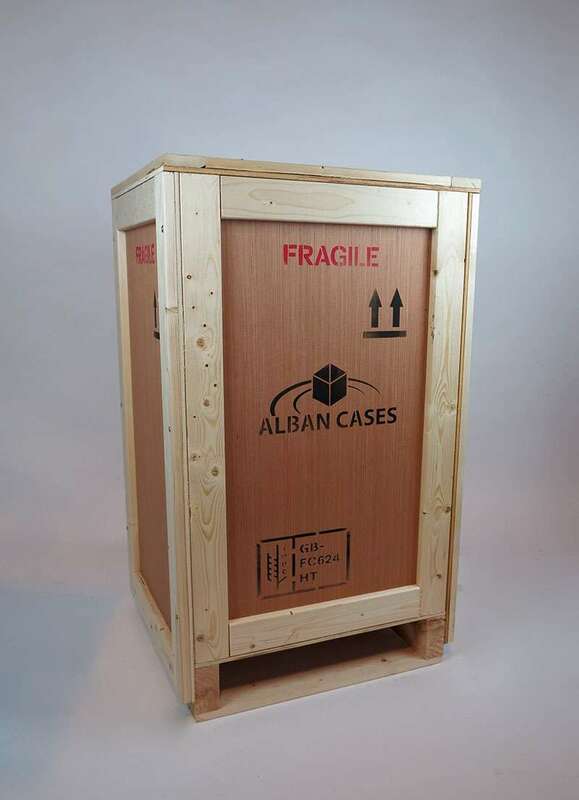 Our registration number FC0624 with the Forestry Commission (GB) ensures your case is accepted worldwide. 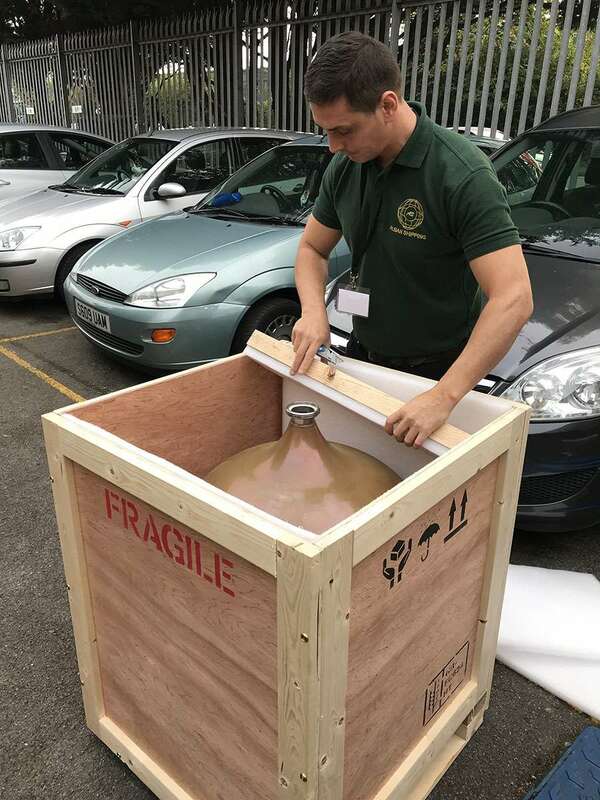 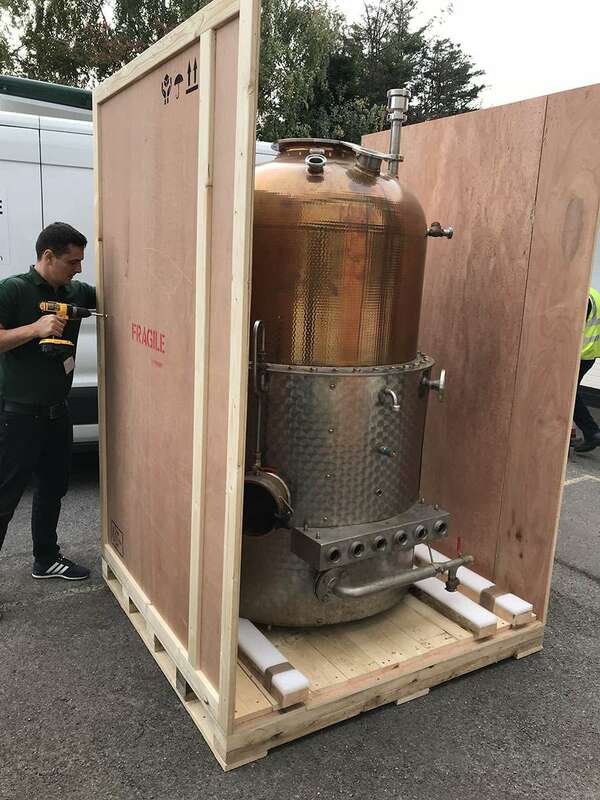 We built a plywood wooden crate on-site at gin makers Haymans, to transport this traditional copper still. 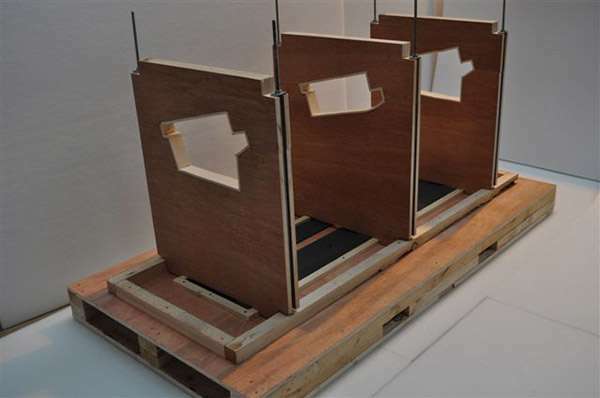 Our exhibition, ‘nail-free’ cases are constructed primarily for continued re-use. 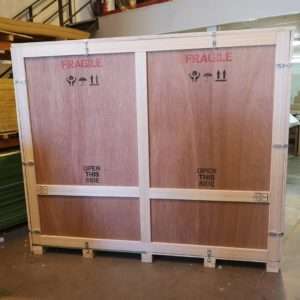 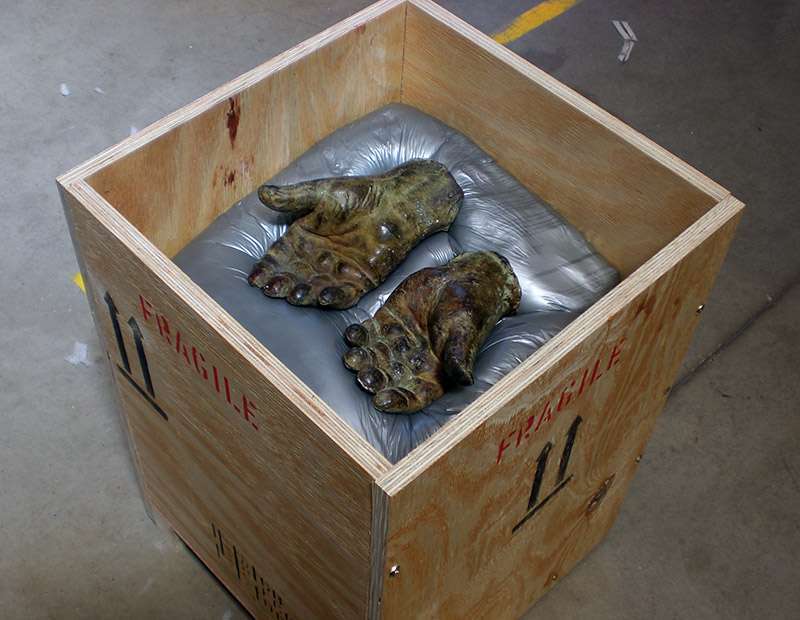 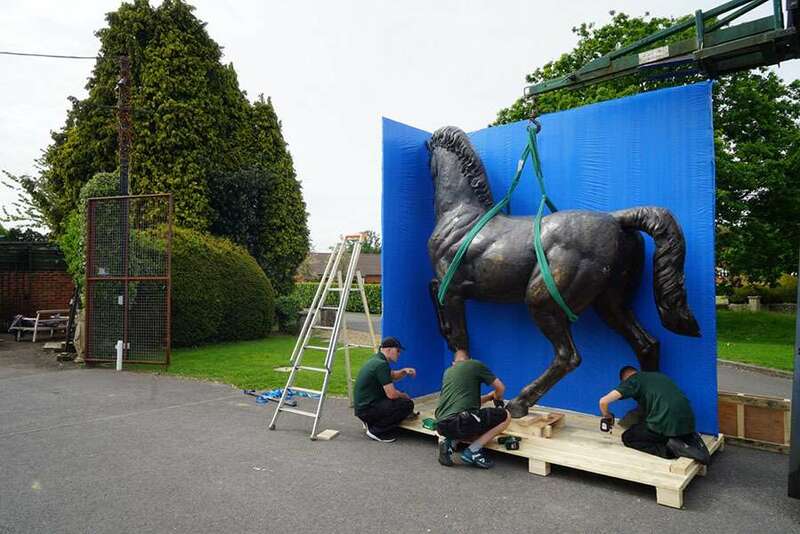 They are often used for exhibition display items that require protective packaging during periods of non-use. 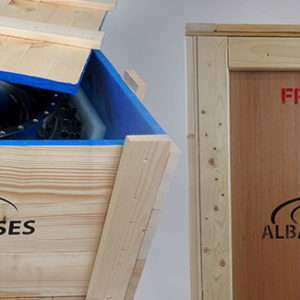 Our cases are available in a number of styles in plywood, softwood, screwed or bolted for ease of assembly. 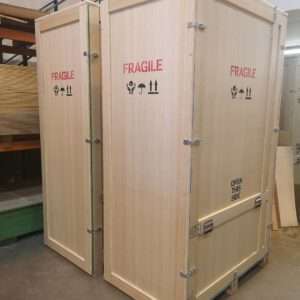 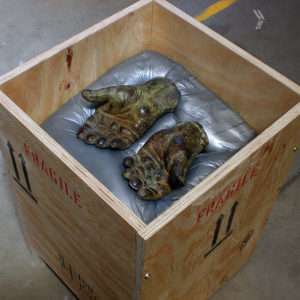 They can be stored flat-packed. 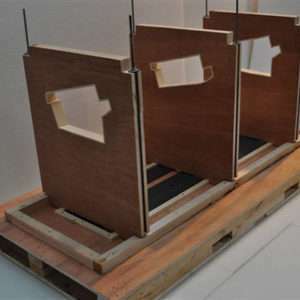 Their innovative construction allows easy access from any side. 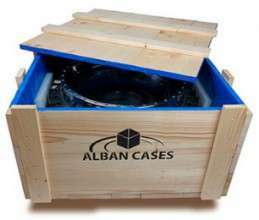 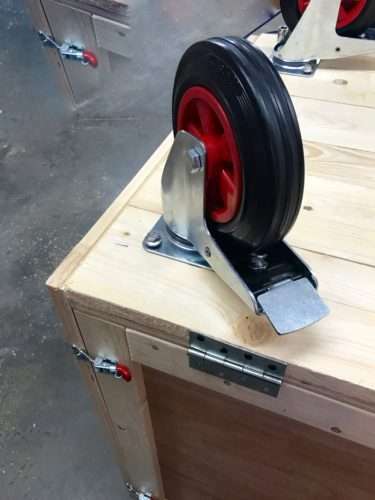 Our cases come complete with secure door catches and swivel wheels for extra security and maneuverability.